I'm here... i promise! Though the next couple weeks may be a bit spotty on my part just due to the business of ending a school year! As of today, my school has 2.5 school days this week and then the same for next week! We are done as of Wednesday at 12:30! Can.not.wait! But of course summer school begins the following Monday! While Life has been a bit hectic, it hasn't been as crazy as this! For those that may or may not know, I am 100% full blooded Maltese (but I am not a dog!). It is a nationality, not just a dog breed! And the video above was taken at a place that I have been to from a distance! 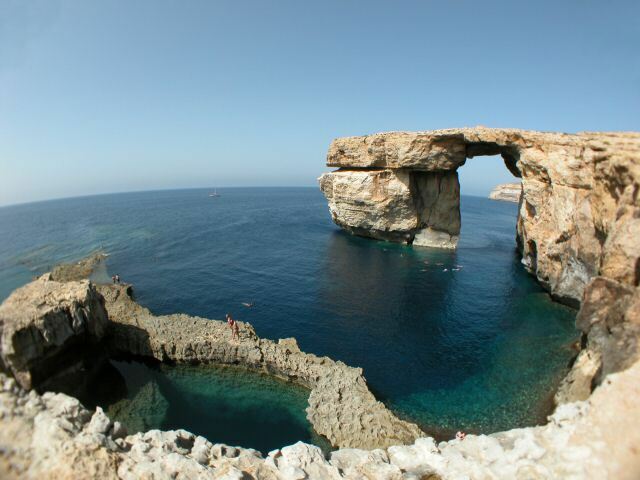 It is the Azure Window! It is such a beautiful spot but the elements are definitely visible! It can be a risky spot often plagued by high winds and strong currents! With high cliffs on every side, these people look even more crazy! Off to go catch up on The Bachelorette! This week's Random Thursday topic is right up my alley right now! House shopping has me dreaming of a great big house someday. While we are shopping for something more conservative, I can still dream. 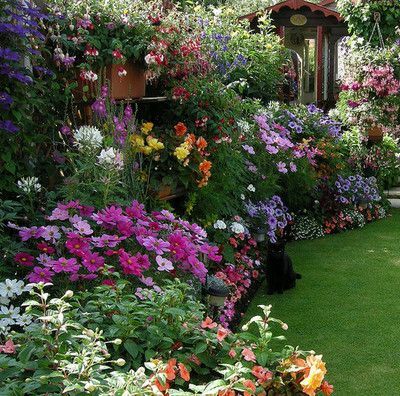 This is what my dream home would look like from the outside and of course i would add a picket fence that has flowers all around it! 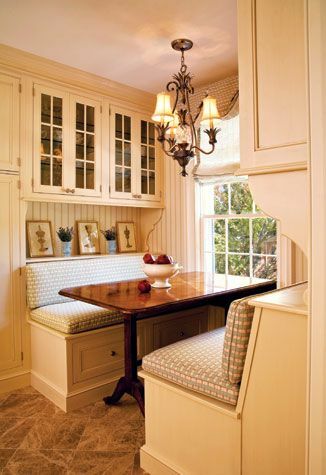 Maybe with a booth/breakfast nook like this? 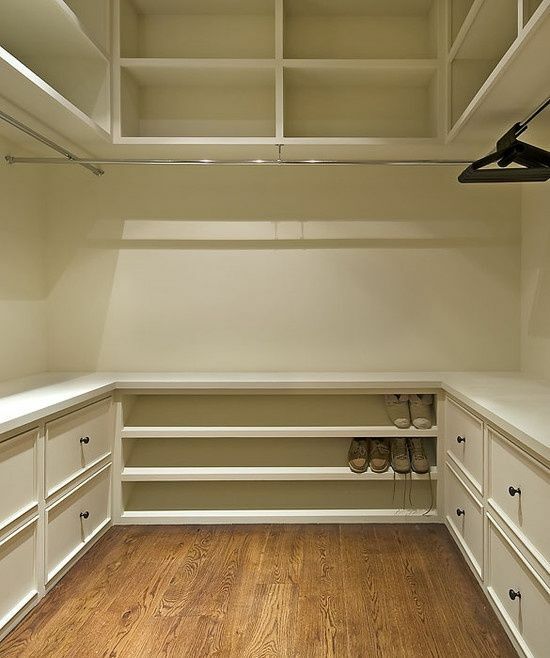 My closet would look like this! 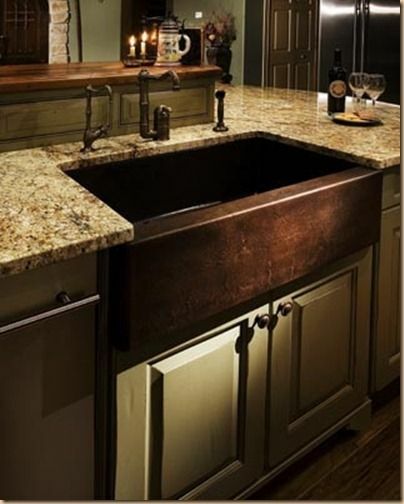 Wouldn't mind a good looking mudroom like this! 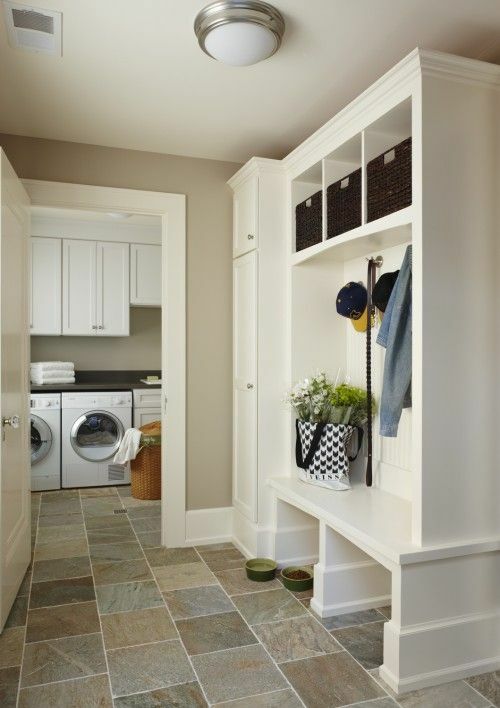 Though in California, a mudroom is not entirely needed nor common! 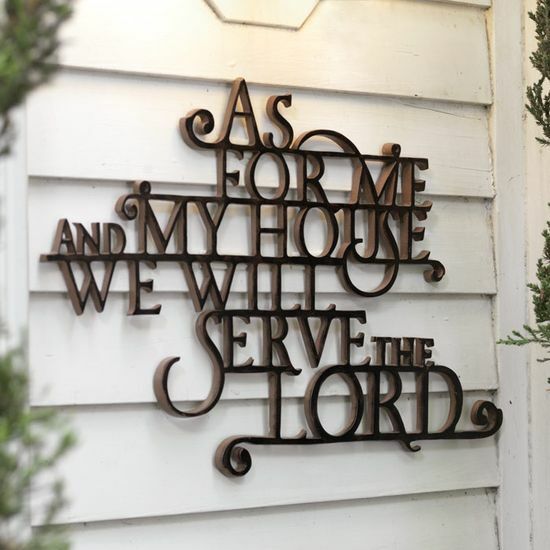 Love this and think that this phrase will be in our home at some point! These is still so much more that i could wish for, but i think you get the idea! So, while my hubs and I sit here and wait for our offers to get denied and hope for one to be accepted, this girl is gonna sit back and dream! 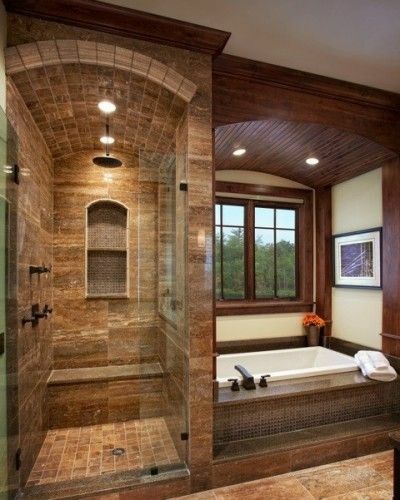 See what other people dreamed of or better yet, share your dream home! Link up! Washing my hair can be quite the chore. I have wavy/curly/frizzy and sometimes dry hair. I also have long hair. I straighten my hair on a daily basis, but over the years i have perfected a schedule that really helps me to keep my locks under control. While i know my schedule is not for everyone, I thought i would share my general routine while also giving some tips for creating a schedule you can live by! Or better yet that can help your hair fly free! Straightening Routine: Wednesday morning, Friday morning, and Saturday day or Monday morning are when i separate my hair into parts and straighten each layer of hair, beginning from the nape of my neck and then all the way up to my bangs! I use a dry shampoo when needed. 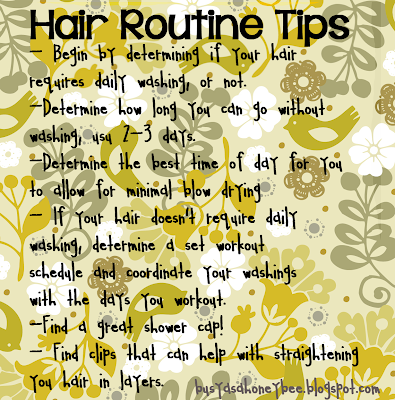 I also tailor my hair washing to my workout schedule. I use a shower cap on a regular basis! I sleep with my hair in a pony tail that is half way pulled through the hair tie. A few notes: I work out regularly on Tuesday & Thursday nights, and Saturday mornings. This is why wash my hair on those same nights. My Thursday night washing is so close to my Saturday workout that I can get away with not washing of Saturday, if I want. I can also chose to wash my hair so I don't have to wake up Monday and spend a little extra time on my hair. So that's my routine! I know this may not work for everyone, but, it has really helped me to keep a routine and I helps me on those nights where I just dont feel like washing my hair! I feel like my time is made free just because I don't have to wash my hair every night! PS. Pictured above are some of the products I use. I use a Jilebere by Paris straightener that has concave plates. This only means that I can curl my ends if it like! 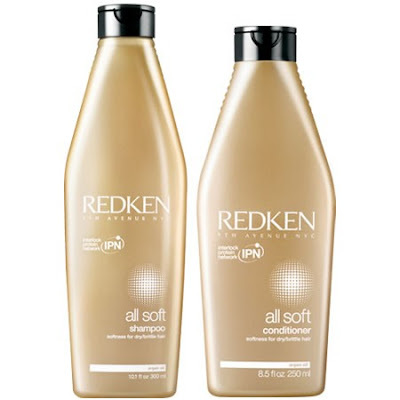 I use Redken Soft Shampoo and Conditioner, which i love. 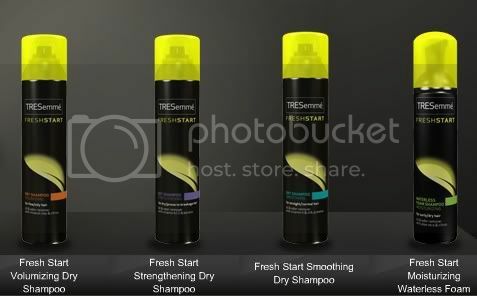 And then I use the moisturizing version of Tresemme Fresh Start Dry Shampoo. Many have said that this leave the hair really powdery, but i have not found this to be the case. It could be that this product I happened to choose, really works for my hair but it also could be that others may not have as oily hair or whatever. Regardless, this works for me! I have also heard that baby powder can word just as well! I've be late to this party before, but of course here is my monthly currently! So here's some explanation to go with that super cute graphic! I decided while we are forced to watch hooked on Netflix why not watch this show from the beginning. I never got it and I was always told that if you watched from the beginning it would all make sense. So far, I agree! One episode down and something like 159 to go! My mom is super skinny lately and I am not! However, i have lost enough to fit into her old pants! She had some white jeans that i have actually been wanting and I fit! Yahoo for free pants! This house shopping thing has been so tough. It can bee really stressful and heartbreaking but yet exciting and exhilarating all that the same time. It is nerve racking and sad, expensive and scary. Too many emotions to count! We both just really want to own a place of our own like NOW! Yep, just want to be in our house ... no explanation needed there! I watched a movie called Breaking Upwards and really enjoyed it! Hubby is napping which makes him happy too and then we both have some down time. Super nice! 1. I want to read a bunch! 2. Lord willing we will find a place and we will getto move while I am on summer break or even while I am still teaching summer school! 3. Time with family and friends. And who knows if we are moving into a house that needs work it might meanthat we are spending time together working on our house! We will see how it all goes! Ok that's my curently... off to go follow the rule of three and see what others gals are doing! Check em out with me! Shh.... don't tell a soul! So many secrets to hide and yet today's random Thursday topic is one I am having difficulty with. Yes, there are things that i have not completely shared with the blogosphere but that is only in an effort to not have my personal life COMPLETELY broadcasted over the inter-web So instead of divulging what i really could tell you and what you will probably know in due time, I am going to be completely honest and spare you some farce of a "secret" that i have deemed a secret for now and only because that is the topic of the day. Why would i still ink up? I think this is a good opportunity to share what blogging is to me. Besides, I typically do this link up without hesitation and its late and i did not realize the topic until a few moments ago. Blogging is an outlet. A place where I can share parts of me. But we also have to keep in mind how inundated we are by social media. Let's face it, i don't want something I post to come back and bite me in the behind! I am a teacher and I have students, special though they are, I truly think they are computer savvy enough to figure things out one day! I don't want them or their parents to find out something that I truly only want my family and close friends to know. Better yet, I wouldn't want to jeopardize the feeling of my loved one, my career, well being, livelihood or otherwise just for the sake of entertaining my followers! As a blogger, this can be a very fine line, though some really create a hard and fast line with what they post and share with the world. So there's my secret... I keep secrets! Well, that is, I am create boundaries to protect myself and those I love. How do you feel about secrets being posted on the internet? Have you ever found out something on Facebook or other social media that you wished you had heard from the person instead? PS. Lin, Em and Meg - don't hate me for not divulging anything juicy! Maybe you have seen this gal on someone else's blog, but today I have been given the great pleasure of reviewing an artist and not just any other girl! When i like a song, I try to really get behind the music. I like to learn about why a song was written and what the meaning is behind the lyrics. So, while googling Rebecca's lyrics, I learned that she wrote this song to talk about that feeling you get when you are first in love, but not even really in love yet! knowing this makes the song seem sweeter! Anyway, i am talking all about this song, but I am also here to share Rebecca's NEW (as in just released today!!!) album "Forests." I have listened to it a bit and can't wait to have a few of her songs stuck in m head! Confession: While i love this new album, i also love that Rebecca's newer stuff is just the tip of the iceberg! She has some really great songs and it makes me really excited for what is to come! Yes, i was asked to review her music and have totally fallen in love with her take on life and love. I hope you might check out this girly! She really has some talent and who knows, maybe someday you will say heard her music on this blog first! one - A funeral mid-week is weird and sad. It was an emotional and long day. It's also extremely odd to be out of work mid week and then go back for two more days of work! two - My classroom is NUT-SO! I have gotten yet another new student and have officially maxed out. There are no more tiny desks to put those hinneys in! This kids are in total upheaval and all my aides and i can do is try to maintain as much as possible! Oh Geez! Its been a rough week to say the least! three - I have not worked out this week! Between funeral events, tonight's surprise baseball game (with seats we could not refuse) and just general home shopping time constraints. I have not made it to the gym! Ugh! Why does that seem to happen when you need it the most!? four - I am way behind on my Autism Authorization program! Ugh gotta get on it for sure! five - The housing market needs to get better for first time home buyers in Orange County, like now! I just want a house where we can stay for 5-7 years that is not in a bad part of town! The inventory of homes here in this county stinks! as it was, it was still nice to be able to say we could do it! And no, our offer was not accepted. On to something better! two - Seeing my husband's family was good. It is always nice to see those that are considered family! four - Going to a baseball game with my hubby and sitting in a SUITE! Wowie! Check out my instagram to see updated pictures! Well, i guess i was correct when i said the crappies are more than the happies. 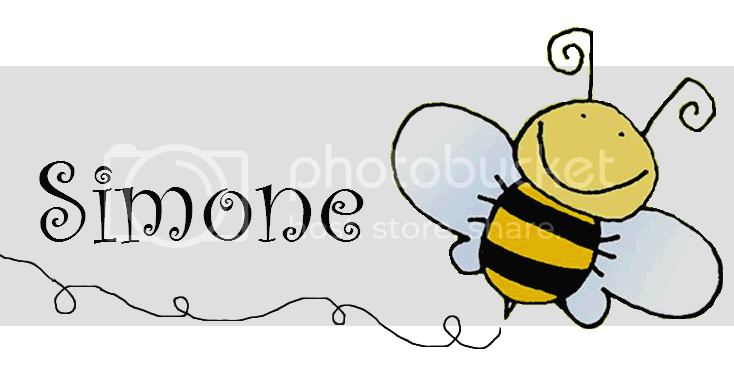 Regardless of the rough stuff, I am still happy and it was just a crummy week in this bee's life! Hope you all had a great week! This has been such a random Wednesday that this whole Random Thursday thing just kind of works! I have been off work today (Wednesday) due to attending the funeral of my Granfather-In-Law. It's been random because i have never had a Saturday mid-week! So, needless to say, I am by no means in the mood to try on a bunch of cute outfits to show you what my favorite Spring Apparel is. Here's what I am thinking: kill two bird with one stone. I have needed to browse some of Old Navy's newest fashions.... headed there right now and gonna share my faves with you for sure! OK enough salivating over things i cannot really purchase, not at least while we are saving for a home of our own! Basically, here in the sunny state of CA and more specifically in Southern CA, short sleeves, mid-length sleeves, cropped pants, cute dresses, and bright colors round out my spring apparel. As of right now, none of these items are in my closet, but i wish they were! 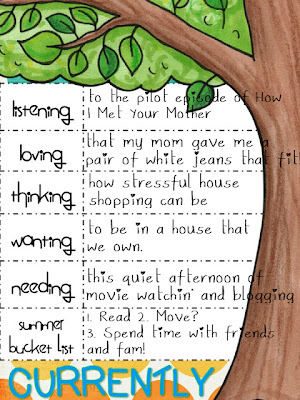 Hope that gives you a peek into what i would choose this spring! What do you wear when the weather starts to warm up and the flowers start to bloom?